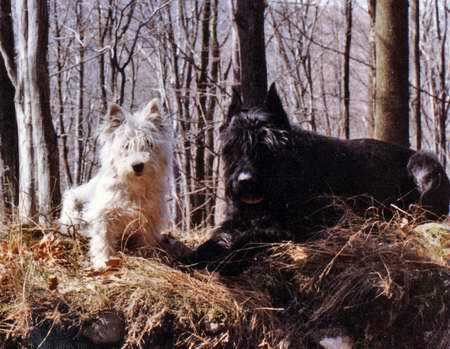 While I participated with my giant schnauzer on a dog show abroad, I caught the sight of a breed that was unknown in Hungary that time. It was the west highland white terrier. With his fuzzy head and happy, impish look he immediately captivated me. 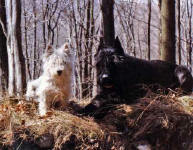 After some years of waiting, in 1998 I got my first westie, named Minnie who was my real fellow for 15 years. At the time of her arrival, I did not have any breeding plans at all. However, in 1993 after a careful copulation ICH Happy White Blanche"Cocus" was born, who got the title of Europe Junior Winner in 1993. 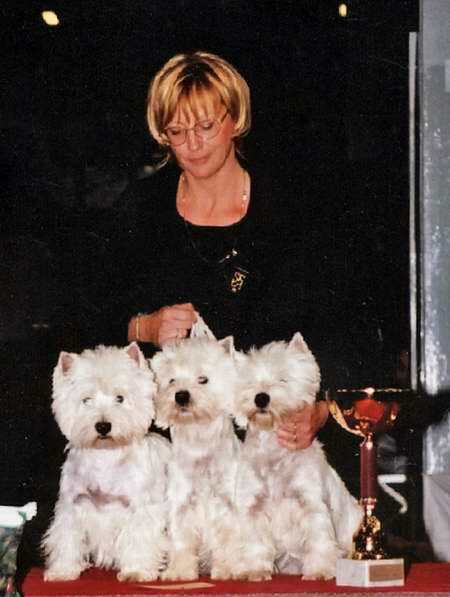 Then I got a three year old covering male Multi CH O'hara Ashley Sweet Honey Pie from the number one breeder in Belgium and ICH Perhaps Pearl Of Pusta from the leading kennel in Finland . 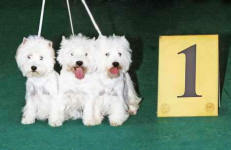 These breeding dogs enriched my breed ensuring the base for a quality breeding. This is proved by my highly qualified winner Champion dogs and their descendants, who achieved outstanding successes in Hungary and abroad, too. I take this chance to thank to Marie-Christine, to Roland Creten and to Veli-Pekka Kumpumaki who all contributed to the success of the HAPPY WHITE kennel with their help, support and with their dogs.